We had ourselves a Disney adventure a few years ago. As I was preparing for the trip, I thought of so many fun things to do and ways to make the trip special for my kids. For us, this is a BIG deal. So I really wanted them to have their own autograph book. I know I could just buy them and it wouldn't be a big deal. But I also knew that this would be the perfect DIY project. I knew I could make a simple DIY Disney autograph book and personalize them to fit each of my children perfectly. I planned to get loads for pictures with the kids and their favorite characters, so I wanted a way to keep the autographs and photos together. And a way to preserve them so that my kids didn't destroy them and become sad that they couldn't enjoy them all the time. 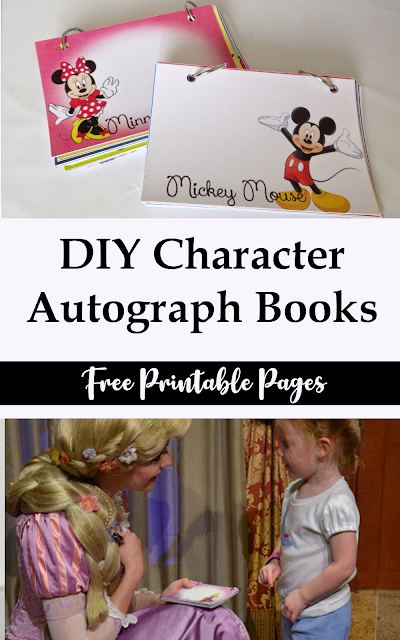 I designed this DIY Disney autograph book so that once I printed the photos I could laminate the photo and the autograph together for a keepsake book my kids would enjoy looking at for years to come. And that is exactly what happened! 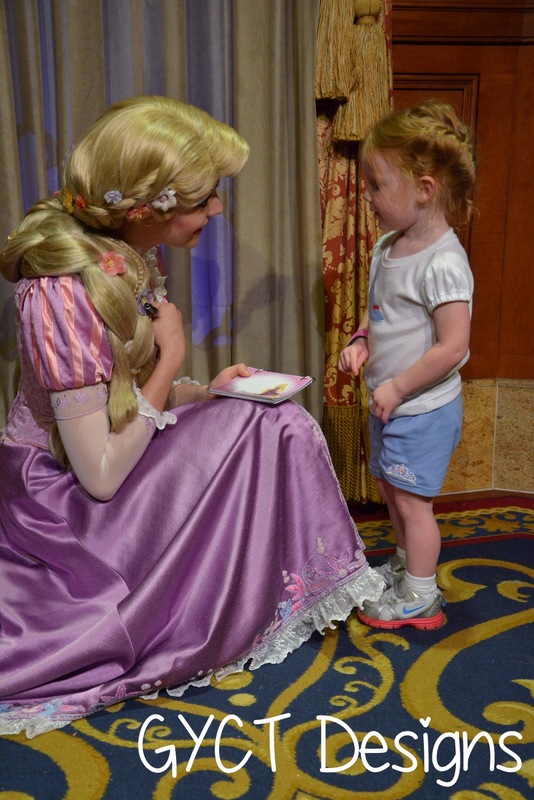 They love to look at their autograph books and remember when they met the characters. Since this is a quick and fun DIY project, I decided to offer our autograph pages as fun free printables. Okay, now let's get to the tutorial on how to put the autograph books together. It's pretty fast once you get started. You'll just need a few supplies and you are set and ready to get crafting. Start by printing off the character cards. There should be 19 characters plus 2 blank card options for those other characters that aren't included. Once you've printed, get cutting. P.S. I'm sorry if I left out your favorite character, but these are the ones we planned to see and our my kids favorites. The cards are each 4x5. So you will want to make sure you cut them so they are even. You can do a couple at a time if you are using a paper cutter. Since they are 4x5, make sure when you go to print your photos they are 4x5 or you'll be cutting them down. Next, grab your hole punch and punch 2 holes in the tops. Then loop your metal rings through each hole and close them. That's it. Simple, fast and perfect for visiting some fun characters. If you have time, you can make some cute cover's with your little's names on them and favorite characters. I laminated a front and a back sheet. That way when they were holding them or put them in a bag they wouldn't get ruined or bent out of shape. That's another reason to use a nice cardstock versus computer paper. It will just last longer and keep from ripping with all the use it will get in the parks. Now let me say that these books were a HUGE hit. It was a great conversation starter with each of the characters. They got really excited when they saw their picture. (Or got a little sad if they didn't have a picture.) 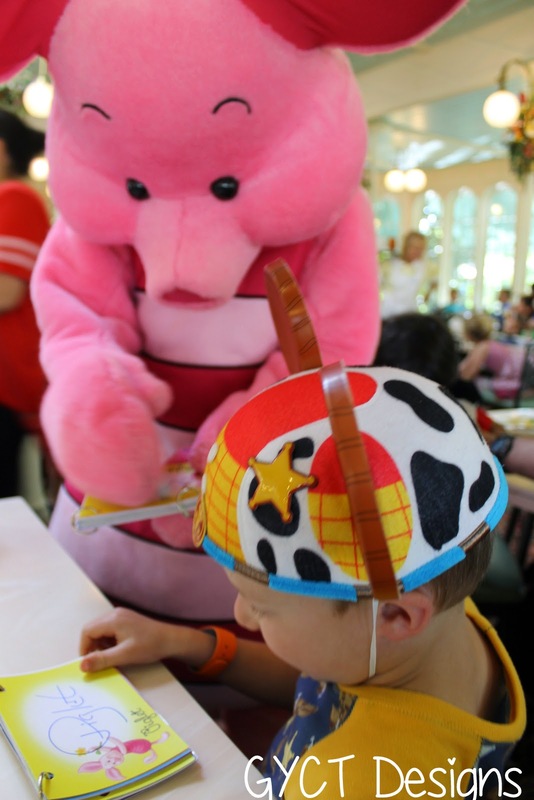 Make kids loved how much the characters enjoyed their photo being there. Overall, this was a great way to get my kids excited to see the characters and they really had so much fun visiting the characters. Once we got these home I laminated the picture to the signature and used my hole punch again to punch holes. I also added some extra photos from our trip to each of their books. Now they have a great keepsake they enjoy all the time and that they can't ruin because it is laminated. 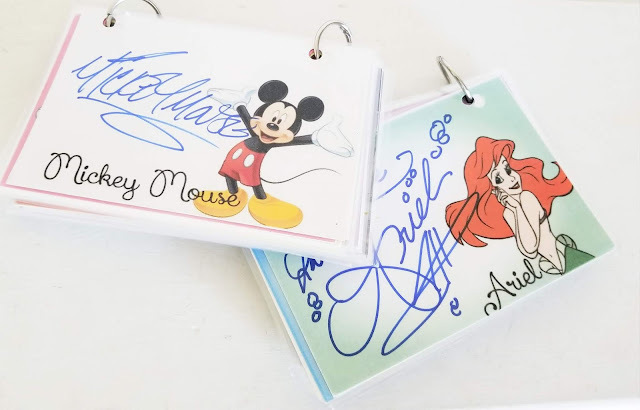 These DIY Disney autograph books are also a lot less expensive than buying the regular autograph books. Just a couple dollars to put together and a lifetime of fun memories. Check out our finished autograph books in my Instagram Stories post. I go through several pages and share some of my tips. 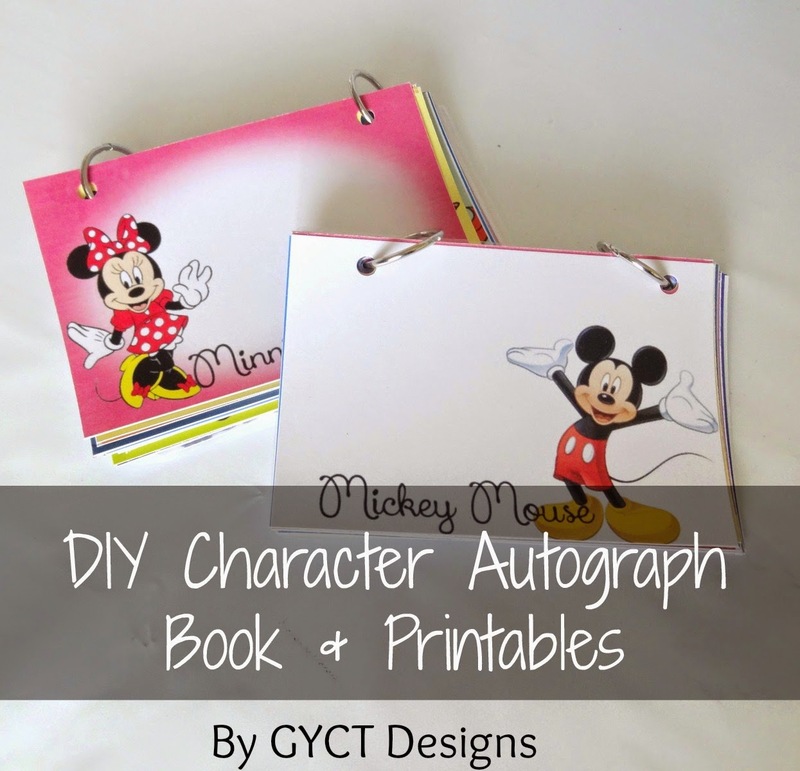 Now go make your own DIY Disney autograph book.